The present invention relates to parallel magnetic resonance imaging (pMRI) and in particular to methods of reconstructing pMRI images. Parallel magnetic resonance imaging (pMRI), as a fast imaging method, uses an array of radio frequency (RF) receiver surface coils to acquire multiple sets of under-sampled k-space data simultaneously. A number of techniques, operating in either k-space or the image domain, have been proposed for reconstructing a complete MR image from these under-sampled data. 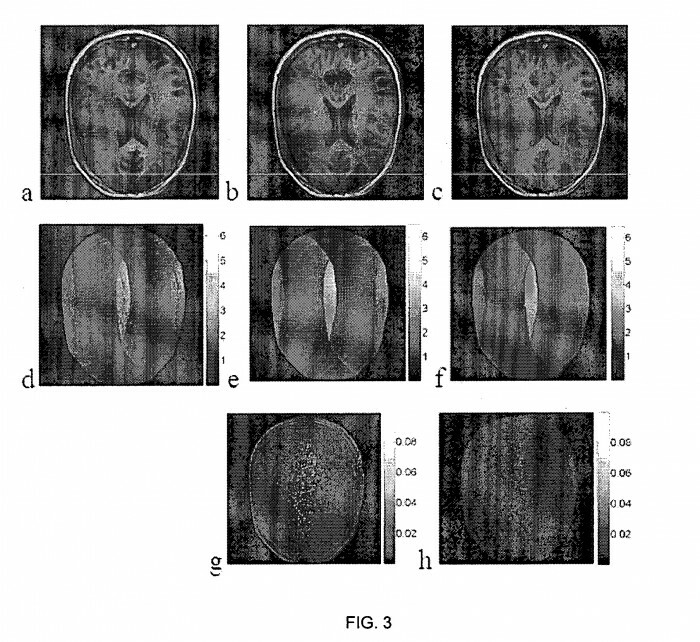 A method of parallel magnetic resonance imaging (pMRI) comprising acquiring pMRI signals simultaneously through a plurality of receiving coils, wherein each coil has a localized sensitivity with respect to an imaged volume; jointly estimating values for the imaged volume and for a sensitivity function for at least one of the plurality of receiving coils; and transmitting the reconstructed image to a device. Looking to acquire a licensing deal or sale of the patent. 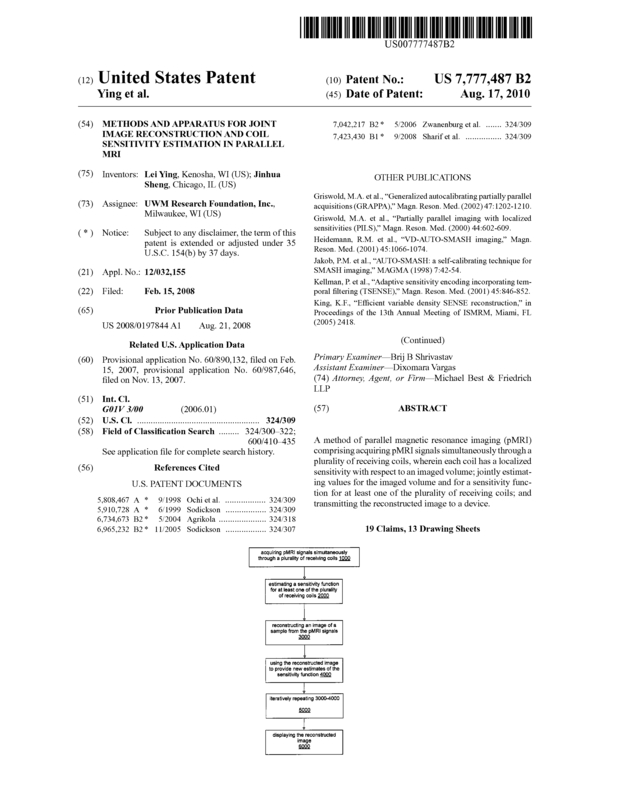 Page created at 2019-04-22 14:08:41, Patent Auction Time.